May 1919. New Orleans is enduring weeks of incessant rain. It’s also enduring a reign of terror. A serial killer is out there and no one knows who he is, or where he is, or when he will strike next. The self styled ‘Axeman’ shows distain for the local cops, writing to the local newspaper warning that he will kill again. City Hall, the police department, private investigators, the mob – they’re all clueless, corrupt and…frightened. The Axeman’s Jazz is Ray Celestin’s first novel. Based on a true story, the author evokes a New Orleans of crime, poverty, virulent racism and jazz. Storyville, Vieux Carré, West End – there ain’t a district in the Big Easy comes up smelling of roses in Celestin’s novel. Jazz in the bordellos, on the streets and onboard the Mississippi paddle-steamers features throughout the narrative with an up and coming cornet player becoming embroiled in the action – one Louis Armstrong! I am very fond of jazz music, and I swear by all the devils in the nether regions that every person shall be spared in whose home a jazz band is in full swing at the time I have just mentioned…One thing is certain and that is that some of your people who do not jazz it on Tuesday night (if there be any) will get the axe. In fear of their lives the citizenry of the Big Easy go jazz crazy! Ray Celestin’s The Axeman’s Jazz is the Crime Writers’ Association John Creasey (New Blood) Dagger – Best First Novel of the Year 2014. 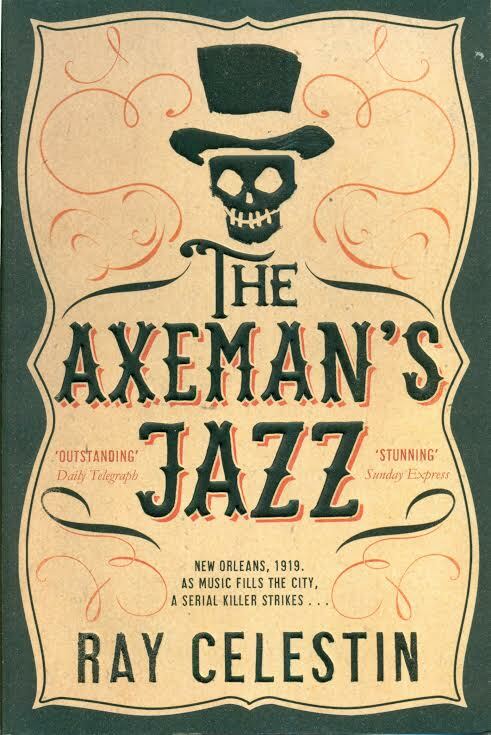 The Axeman’s Jazz by Ray Celestin is published as a paperback by Pan Macmillan (ISBN 978-1-4472-5888-9). The book sounds great - I love me a bit of gritty crime! And I've just ordered it.